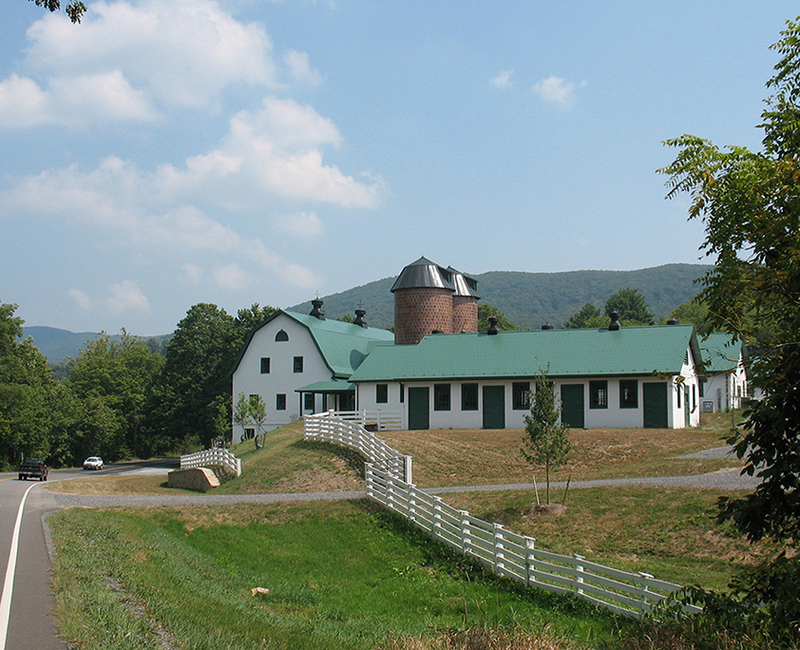 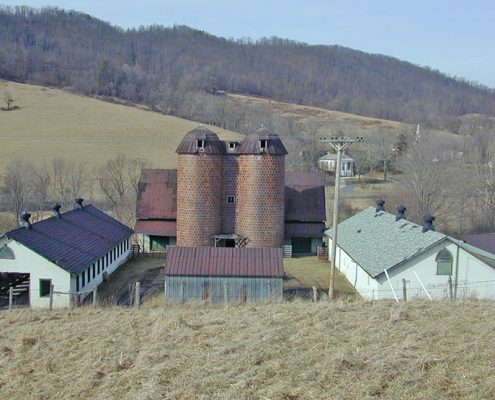 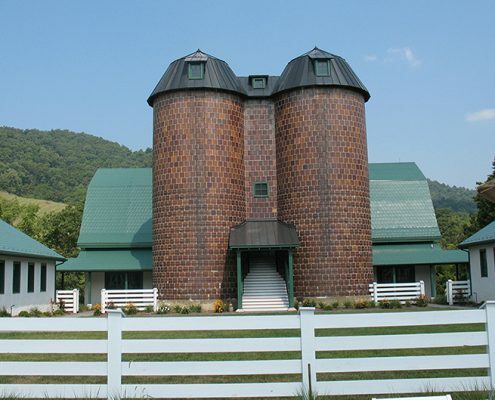 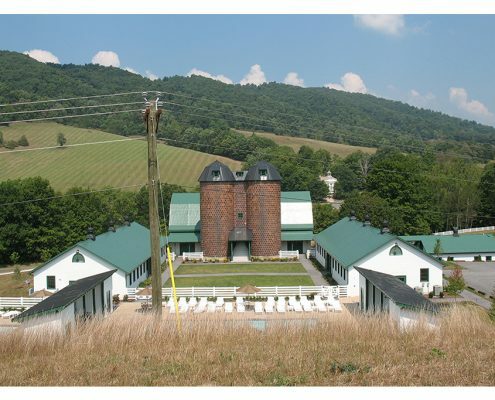 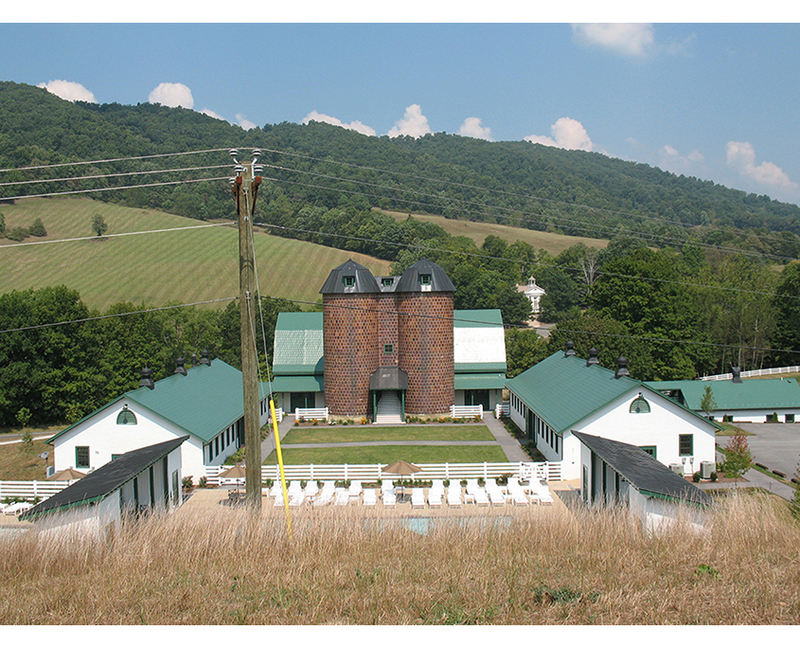 The Homestead Dairy Barn complex, a local landmark in Bath County, was built in the early part of the 20th century. 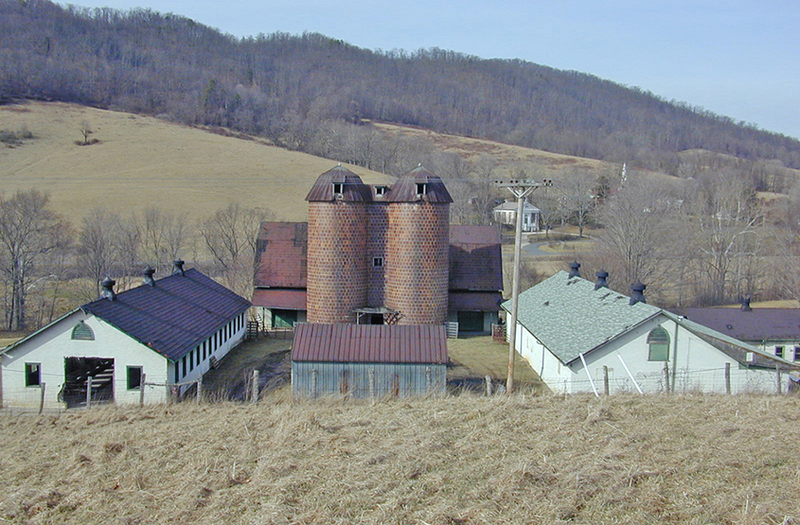 The Colonial Revival buildings include a main barn with attached double silos, a milking barn, a bottling barn, a calving barn, a ham house, and various sheds. 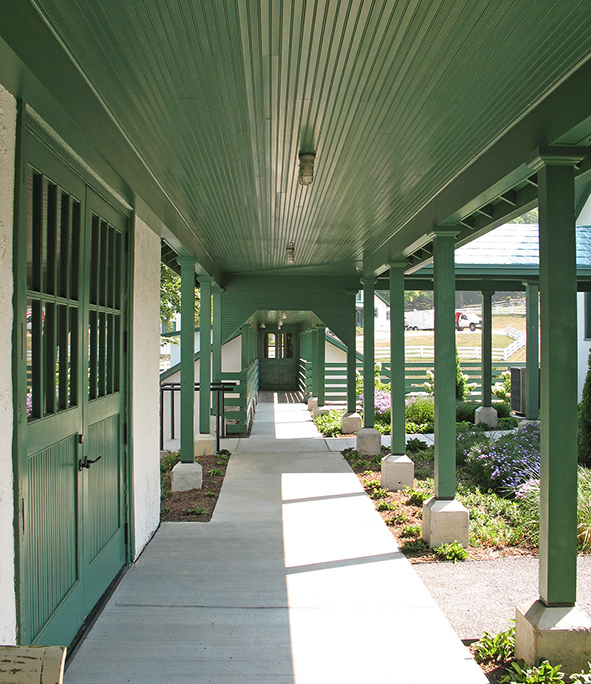 In 2007, the complex was listed on the National Register of Historic Places. 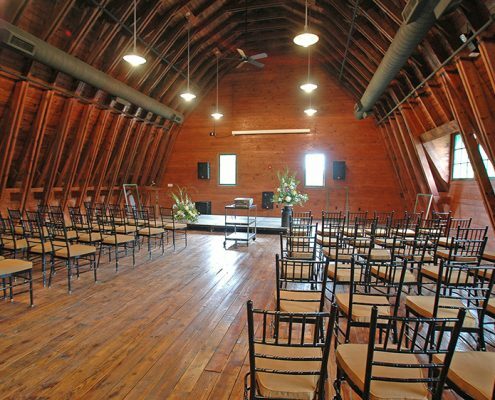 Frazier Associates wrote the nomination, provided historic tax credit assistance, and provided historic architecture services to Urban Design Associates, the coordinating architect. 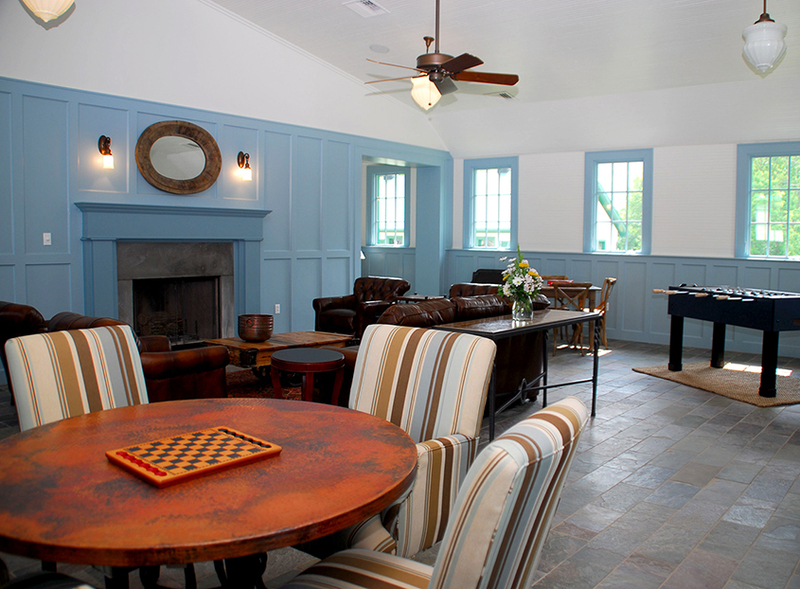 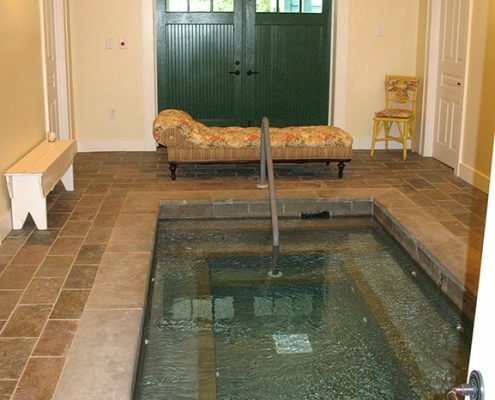 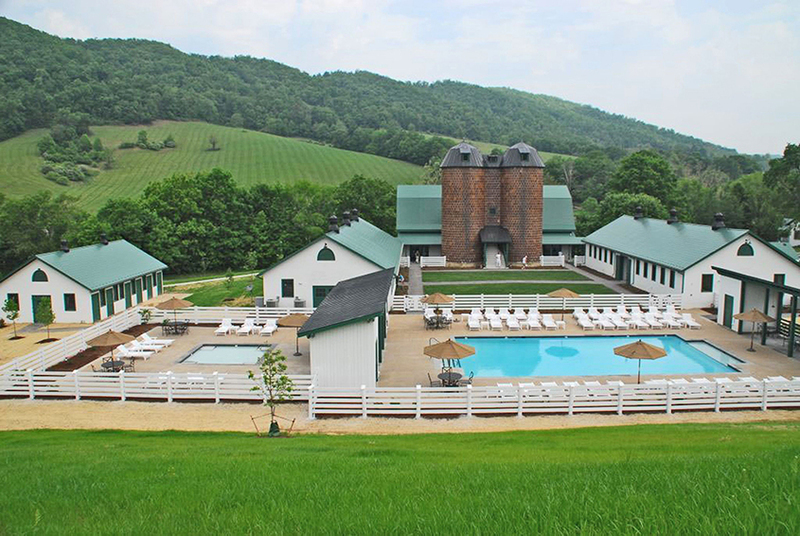 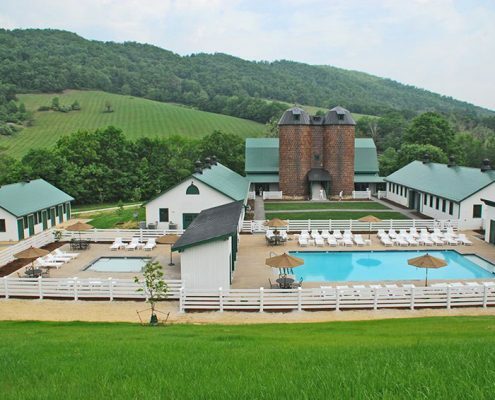 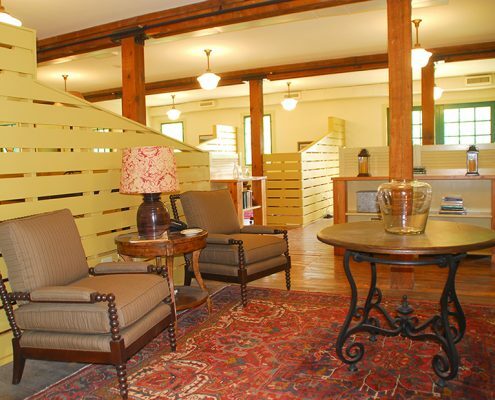 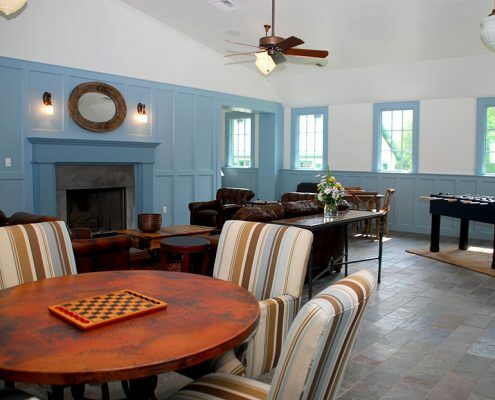 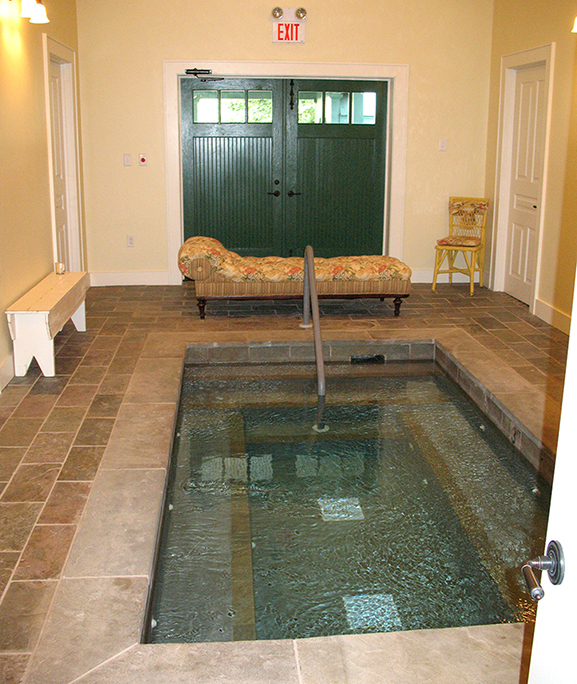 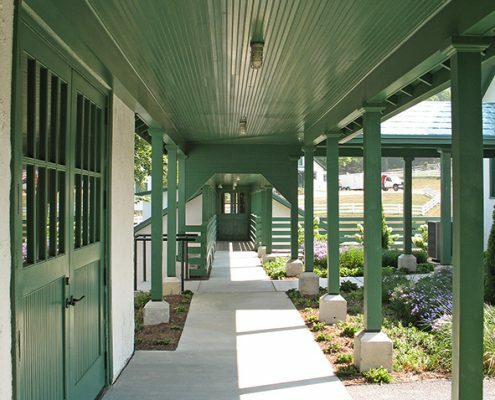 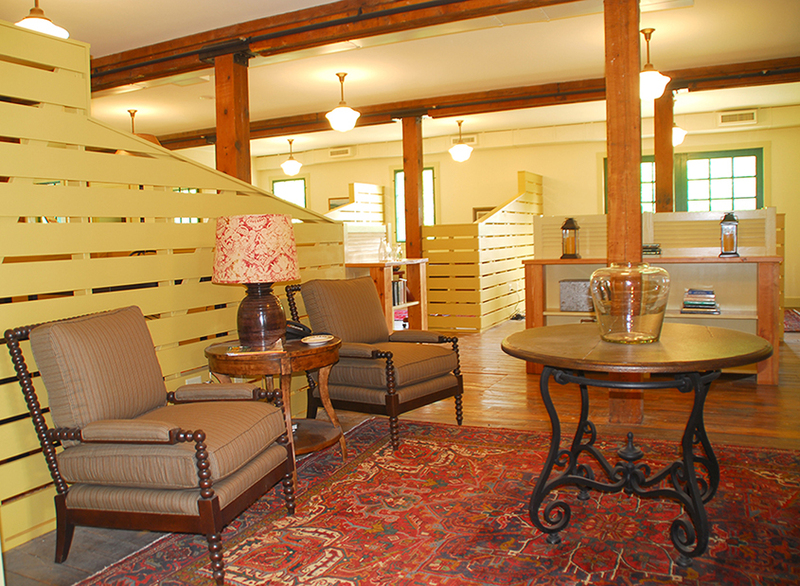 The barns have been transformed into a recreation center for Homestead Preserve residents, offering a fitness center, swimming pools, meeting rooms, and spa. 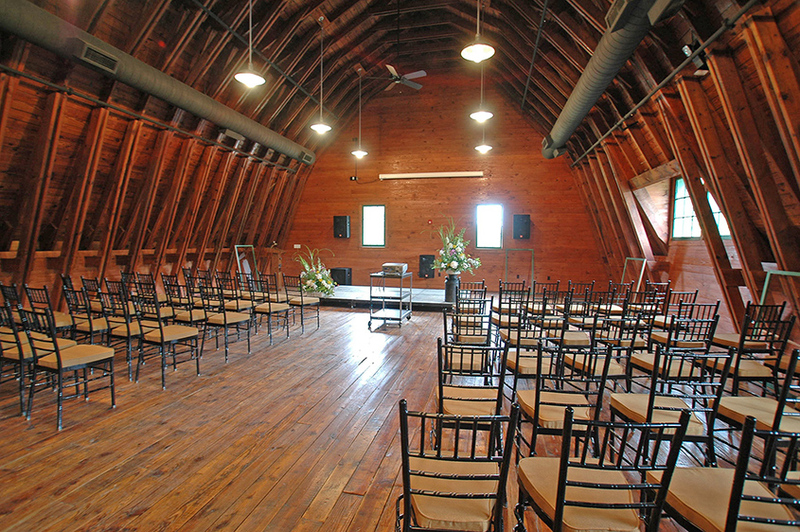 The Project received the 2009 Palladio Adaptive Reuse and/or Sympathetic Addition Reward. 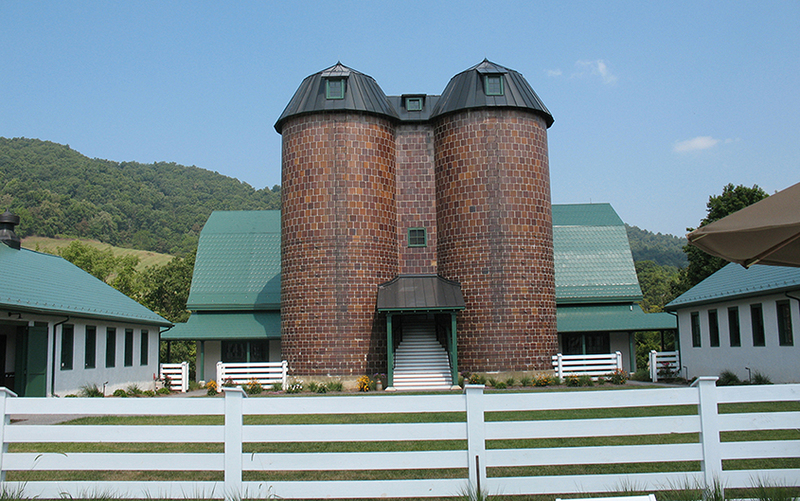 The Palladio Awards Program is designed to honor outstanding achievements in traditional design.